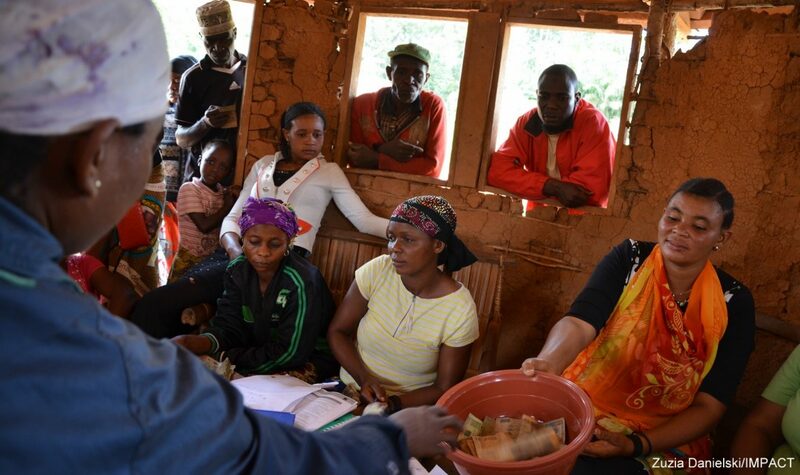 Since its launch in 2017 in northeastern Democratic Republic of Congo, 50 Village Saving and Loans Associations have kicked off activities as part of our Artisanal Mining Women’s Empowerment Credit & Savings project (AFECCOR). The project supports women and men in artisanal gold mining communities to access savings and credit in an effort to promote entrepreneurship and economic security. The project is active in Ituri Province, alongside the Just Gold project. Over 800 women and 650 men began putting aside money they earn from artisanal gold mining and other activities into group savings in December. Over the past four months, community members have saved almost $20,000 US—money that will go towards new entrepreneurial activities. Group members are energized by how much they’ve been able to save in such a short period of time. They have more confidence in their ability to save—and their future economic security. AFECCOR has a strong focus on promoting women’s leadership and economic empowerment in their homes, at artisanal mine sites, and in the wider community. More than 60 percent of the community volunteers that have been trained to support the groups with literacy and financial coaching are women. Additionally, more than 80 percent of the groups have a woman as their president. Additional skill building and training is planned for coming months aimed to support women as they begin planning to expand or create new entrepreneurial activities with the microcredit they can receive from their group. The AFECCOR project provides a safe space for all members to save and access credit. At the same time, artisanal miners and community members decrease their reliance on informal credit networks that characterize the “gold economy,” where gold is used as currency for daily transactions, often with unfavorable conditions. Victoria Reichel is IMPACT’s Project Coordinator, overseeing AFECCOR—our credit and savings project for artisanal gold mining communities with a goal of promoting women’s entrepreneurship.